VACUUM thoroughly and frequently. Bed bugs like to hide in crevices of upholstered furniture, the folds, buttons and cording of mattresses, inside wallpaper, along baseboards, carpet, cracks and crevices, electrical boxes, window and door frames and even behind wall pictures! Use the crevice tool, not the brush attachment, as they can adhere to the bristles. After vacuuming, place the vacuum bag inside a plastic bag (grocery bag), seal tightly and dispose of outside. They can climb back out! WASH & DRY anything that is launderable. Hot water and the high heat of dryers will kill bed bugs and their eggs. Put clean clothes into a bag or tight container to help reduce hiding spots. SPRAY either Transport GHP, Temprid SC, or Bedlam along with Gentrol throughout your living area. Mattresses, box springs, upholstered furniture, carpet, woodwork, bed frame and headboard. Make sure to spray into the crevices, folds and under buttons on furniture and mattresses. Our bed bug killer is one of the only products registered for use on mattresses. Be very detailed and take out drawers, take apart beds, spray joints, screw holes and spray into all cracks in wood trim. SPRAY AGAIN once a week for a minimum of 4 weeks with Transport GHP, Temprid SC or Bedllam, and once every other week with Gentrol to kill any bed bugs that have hatched or possibly new bed bugs that have been brought into your home. Spray once a month as a preventative measure. REPEAT THESE STEPS OFTEN! Bed bugs are great hiders. If one bug is missed during a treatment, they’ll keep multiplying. Female bed bugs can lay up to 12 eggs a day! Continue to vacuum everyday, using crevice tools to reach hard to get areas and spray Transport GHP, Temprid SC or Bedlam once a week for a minimum of FOUR weeks and Gentrol once every other week. 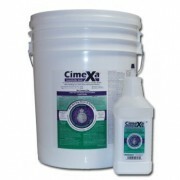 Use Cimexa Dust to treat walls. After your mattress has been vacuumed and treated, encase it in a zippered mattress cover. Any bed bug remaining on the mattress will be trapped. It is suggested to leave it on for two year, as bed bugs can live for 18 months without feeding. Major Supply carries zippered Softcover mattress covers! Put traps / monitoring devices under mattresses and around your home. Major Supply carries several types of traps and monitoring devices. Bed bugs are great travelers! They hitch a ride on luggage, laundry, used furniture and on your clothing. NOTE: These are suggestions and guidelines that we voluntarily provide to our customers because we want to help them get rid of bed bugs. ALWAYS read instructions on any product or equipment before you use it. Before use, test in an inconspicuous area to determine if bleaching or fading will occur. Major Supply Corp. is not responsible for damage due to misuse of products. What you need to know about Bed Bugs! Bed bugs are a class of vampire! They live on only one thing: BLOOD! They prefer human blood, but will also feed on birds, bats, rats and your pets. 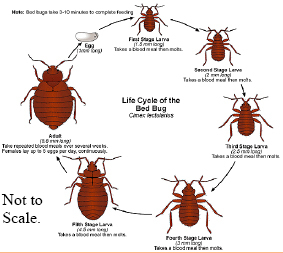 One female bed bug will live for 18 months and will lay an average of 10 to 12 eggs per day. They hatch in about two weeks. They reach adulthood in 21 days. 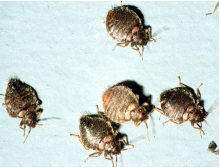 One average female, laying 12 eggs per day, times 12 months equals 4,320 bed bugs in one year FROM JUST ONE BED BUG! “BONUS”: Transport GHP and Temprid SC also kills 50 other types of insects. 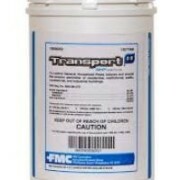 One gallon of mixed Transport GHP or Temprid SC covers 1,000 sq. ft. Estimated Coverage: A typical couch or sofa will require 10 to 12 ounces per application. A gallon will cover approx. 8 to 10 pieces of upholstered furniture, or approx. 1,000 square feet. Note that these are estimates. Actual yield depends on size of furniture and spray pattern.